BREA, Calif., April 3, 2019 /PRNewswire/ -- Ventura Foods has promoted Andy Euser to the newly created role of chief administrative officer, effective April 1. In his new role, Euser will drive alignment and collaboration among support functions for the leading producer of dressings and sauces, mayonnaises, margarine and butter blends, and oils and shortenings. Under Euser's leadership, the company's newly formed Chief Administrative Office will include information technology, human resources and corporate communications. "In Andy, we have a proven and trusted leader who enjoys enormous respect from many of our key stakeholders including his peers in the industry, as well as our employees and owners," said President and Chief Executive Officer Chris Furman. "He excels in organizational design, strategy, collaboration and talent development. As CAO, he will leverage these skills to accelerate projects, systems and processes that deliver against our business priorities." 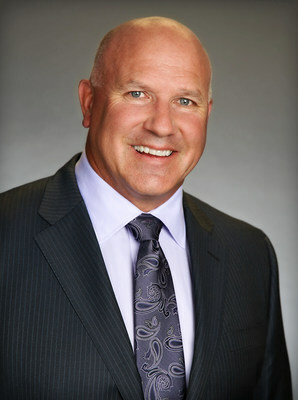 Euser has served as Ventura Foods' chief human resources officer and executive vice president for the past nine years. During his tenure, Euser advanced the organization's HR and corporate communications functions and developed their corporate social responsibility program. He built Ventura Foods' performance management, talent planning, and Learning and Development platforms. He also served as an architect of The Ventura Edge, the company's signature identity. 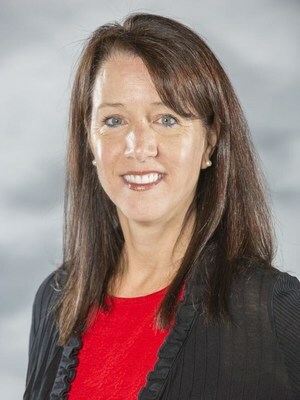 Ventura Foods has also announced that Erika Noonburg-Morgan joined the company as Chief Financial Officer on March 11. She joins Ventura Foods from Coca-Cola Beverages Florida, one of the largest U.S. bottlers and the company's first new bottling organization in 60 years with nearly $1.4 billion in revenue. Noonburg-Morgan was a senior member of the leadership team responsible for starting the business and driving the organization's financial, commercial and operations strategy. "Erika's significant financial and operational expertise, along with her proven track record of rapidly assessing and improving systems and process, will be instrumental to our company," said Furman. "Additionally, her six years of experience working internationally with Coca-Cola in Zurich, Switzerland and Rotterdam, Netherlands will prove especially valuable as we continue to expand internationally." "We're excited about the significant contributions these experienced executives, who are both passionate about building high-performing teams and developing talent, will make to our Strengthen to Grow business strategy," added Furman. Ventura Foods is a leading producer of dressings and sauces, mayonnaises, margarine and butter blends, and oils and shortenings. Our customers include foodservice companies, retailers, and food manufacturers in the U.S., Canada and more than 60 countries. In addition, our consumer brands available at retail include Marie's® dressings, LouAna® oils, Dean's® dips and Gold n' Soft® spreads. The company is a privately held joint venture of CHS, Inc. and Mitsui & Co. Ventura Foods is continually crafting flavors and custom food solution to fulfill its mission of "helping our customers delight their customers.